I find 30 day challenges educational. I did the 30 day Mediterranean Lifestyle challenge that we held here and learned a lot from my colleagues' blog posts about the hurdles people encounter when trying to eat well. This lead me to participating in October Unprocessed with a group of staff where we tackled label reading with new vigor. During both challenges, I picked up a variety of new healthy habits that have stuck. It's only week two of this challenge. (Although I did get excited and start almost a week early on June 24.) 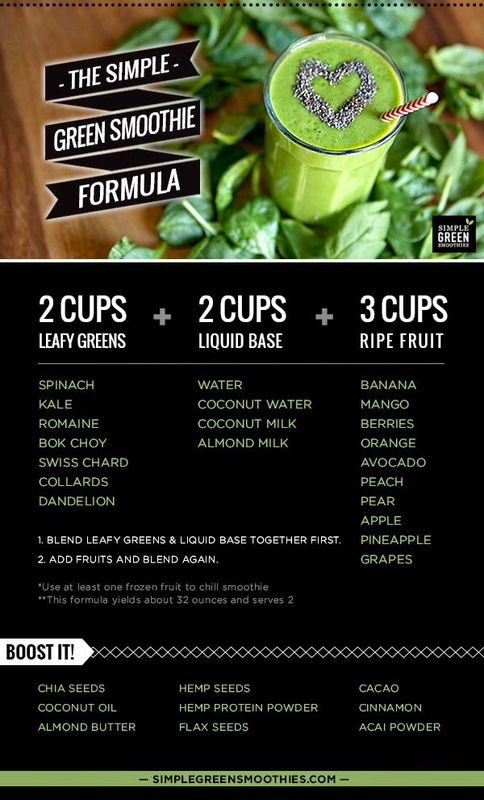 I've already learned to make a decent green smoothie thanks to this simple infographic. I'm pretty sure I'd have never mixed broccoli and chocolate if I'd had this when we first got our Vitamix. Seriously, they should imprint this on the machine! Kale, coconut water, mango and banana is my current favorite. And, thanks to this infographic I can make one or two portions that fit neatly in our Klean Canteens. Before I always had too much. Here are a couple of my favorite recipes. You can find a great selection on simplegreensmooties.com. If this challenge interests you, I hope you'll join me. If not, find a challenge that helps you hone in on something you'd like to learn more about. You can always go back to our Mediterranean Diet Challenge and start with Wave 1. Or, try August Unprocessed. (I find eating well easiest in the summer when the Farmers Markets are filled with gorgeous produce.) Or, maybe you want to create your own 30 Day Challenge -- planks, squats, yoga, swimming, cold showers (no kidding, Google it) -- the options are limitless.